A state that President Donald Trump won handily in 2016 may change its mind come 2020, according to a Salt Lake Tribune-Hinckley Institute of Politics poll. Then-candidate Trump defeated former Secretary of State Hillary Clinton in Utah by close to 20 percentage points in 2016, which wasn’t necessarily a surprise for the safely-red state, but according to a Wednesday poll, 54 percent of Utah voters say they would probably or definitely not vote to re-elect Trump in 2020. Notably, the poll was conducted Jan. 15-24 amidst the longest government shutdown in the country’s history, but the same percentage of Utah voters also said they approve of their new Republican Sen. Mitt Romney standing up to Trump. “The timing is obviously very difficult for the president because he is suffering from increased scrutiny and condemnation for the shutdown and then for at least momentarily backing out of the shutdown,” Kirk Jowers, the former head of the Hinckley Institute at the University of Utah, told The Salt Lake Tribune. “So I think those numbers could certainly improve over the next few months,” he added. 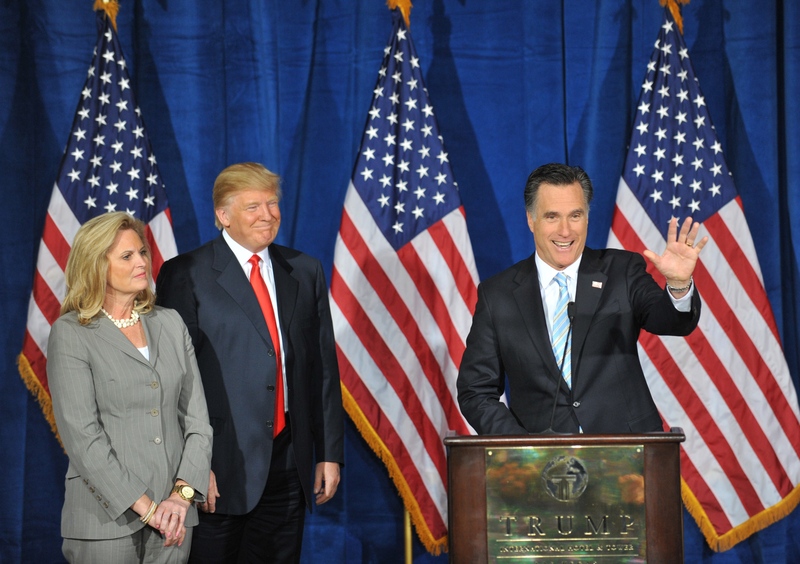 Jowers further states that Utah Republicans have consistently been wary of Trump, which could contribute to Romney’s popularity in the state given his resistance and rebuttal of the president. In a December poll from the Associated Press, Utahns made clear they didn’t want Romney to bow to Trump when he got to Washington; 64 percent of Utah voters felt this way. “You know that I think the majority of Utah is saying that the [GOP], at least here, is not listening to the citizens’ voices,” Daisy Thomas, the chairwoman of the Utah Democratic Party, told the Salt Lake Tribune.